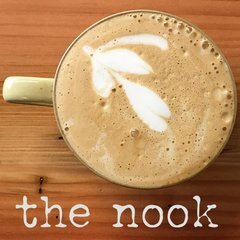 Proceeds from the nook help to feed community members and provide inclusive services. Join our dynamic team! The nook is a social enterprise initiative launched by PREP Society to support our community programs. Proceeds from the coffee kiosk will go directly to the Community Resource Centre, Family Place, BOND, food programs, immigrant services, literacy programs, and more. We're looking for volunteer baristas to work two-hours shifts, in pairs--one will focus on drink preparation, and the other on the till. PREP Community Programs empowers positive change for those in our community who face barriers such as poverty, unemployment, at-risk pregnancy, racism, and illiteracy by offering relief, support, and access to resources. We are a non-profit community services organization providing free community-based, need-driven programs and public services including employment services, immigrant services, harm reduction, literacy programs, and family and child development programs. PREP is also a lead agency in developing and coordinating strategies for promoting diversity, increasing food security and reducing poverty in our region.